The Dead Don't Die's First Trailer Shows Off Star-Studded Cast! The first trailer for the star-studded zombie movie The Dead Don’t Die has been released! 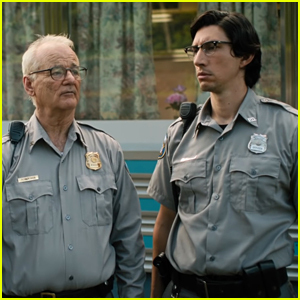 Bill Murray, Adam Driver, Tilda Swinton, and Chloe Sevigny lead the cast of the upcoming Jim Jarmusch film. 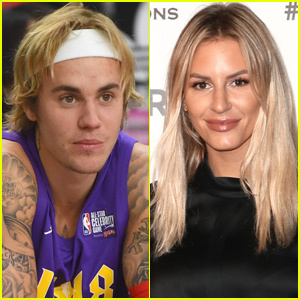 Also starring in the film are Steve Buscemi, Danny Glover, Caleb Landry Jones, Rosie Perez, Iggy Pop, Sara Driver, RZA, Selena Gomez, Carol Kane, Austin Butler, Luka Sabbat and Tom Waits. Last summer, Selena and Austin were spotted with the star-studded cast while filming scenes in upstate New York. The film will be released on June 14. Ellie Kemper is all smiles as she steps out for the Kimmy Goes To The Paley Center: A Celebration Of Unbreakable Kimmy Schmidt on Thursday night (January 24) at the Paley Center for Media in New York City. 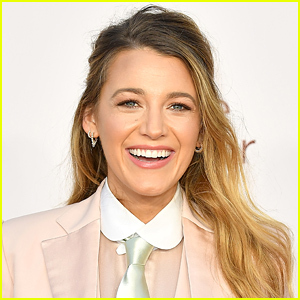 The 38-year-old actress looked pretty in a black and floral-print dress as she was joined at the event by her co-stars Titus Burgess, Jane Krakowski, and Carol Kane. Also stepping out for the event were co-creators of the show Tina Fey and Robert Carlock. The final episodes of Unbreakable Kimmy Schmidt will be available streaming starting tomorrow on Friday, January 25 on Netflix. Watch the trailer here! FYI: Ellie is wearing a Kate Spade dress. 'Unbreakable Kimmy Schmidt' Releases Trailer for Final Season - Watch Here! The final episodes of Unbreakable Kimmy Schmidt are upon us! 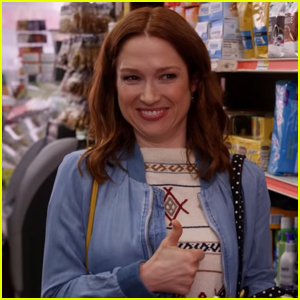 Netflix released the trailer for the final few episodes of their hit show starring Ellie Kemper, Tituss Burgess, Jane Krakowski, and Carol Kane, but we’re not ready for the fun to end! The final episodes of Unbreakable Kimmy Schmidt will be available stream starting on Friday, January 25 on Netflix. 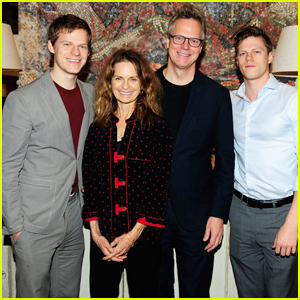 Lucas & Peter Hedges Get Support from Family at 'Ben Is Back' New York Screening! Lucas Hedges is all smiles as he poses with his family while attending the Roadside Attractions and The Cinema Society special screening of his film Ben Is Back held at The Whitby Hotel on Monday evening (November 26) in New York City. 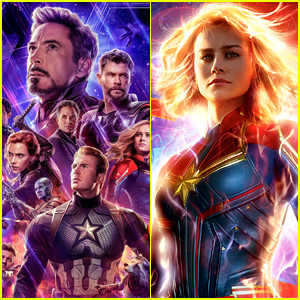 The 21-year-old actor and and his family – mother Susan, father Peter and brother Simon – were joined at the event by their co-star Rachel Bay Jones. Also in attendance to show their support was Mary-Louise Parker and her son Will, Carol Kane, Ben Platt, two-time Tony winner Joe Mantello, Dylan Baker and his wife Becky Ann Baker, Ari’el Stachel, Willa Fitzgerald and Charlie Carver. The movie, written and directed by Peter, also co-stars Julia Roberts, Courtney B. Vance and Kathryn Newton – Watch the trailer here! Tina Fey & Ellie Kemper Bring 'Unbreakable Kimmy Schmidt' to Emmy Awards 2018! Tina Fey is bringing Unbreakable Kimmy Schmidt to the 2018 Emmy Awards! The 48-year-old series creator hit the gold carpet at the award ceremony on Monday evening (September 17) at the Microsoft Theater in Los Angeles. Tina was joined by the show’s cast including Ellie Kemper, Tituss Burgess and Carol Kane. The show is up for Outstanding Comedy Series while Tituss is nominated for Outstanding Supporting Actor in a Comedy Series! If you missed it, you can check out the full list of nominations as well as the full list of presenters set to take the stage tonight. Make sure to tune in to the Emmys tonight on NBC! FYI: Tina is wearing an Elie Saab dress. Ellie is wearing a J. Mendel dress, Lorraine Schwartz jewelry and carrying a Jimmy Choo clutch. 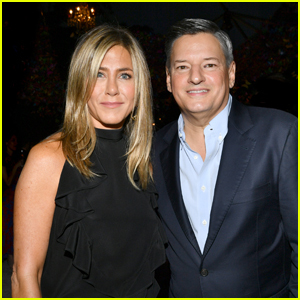 Jennifer Aniston poses for a photo with Netflix’s Chief Content Officer Ted Sarandos at his Emmy nominee party on Saturday (September 15) in Los Angeles. Jennifer will star in Netflix’s upcoming movie Murder Mystery opposite Adam Sandler. Other attendees at the event include Tina Fey, Alison Brie with Glow co-stars Betty Gilpin and Jackie Tohn, Jason Bateman with wife Amanda, Michael Douglas, Diane Keaton, Carol Kane, Leslie Jones, Sarah Paulson, and Fuller House‘s Candace Cameron Bure, Andrea Barber, Lori Loughlin and John Stamos with Caitlin McHugh. The Emmys are set to air on Monday! The Crown received the most nominations for the streaming giant, with 13 total.